The SuperLow® 1200T motorcycle combines the nimble Sportster® SuperLow® chassis with the performance of an Evolution® 1200 V-Twin engine and essential touring features, including a detachable windshield, locking saddlebags, Michelin® Scorcher® 11T touring tires and rear suspension with dial-adjustable pre-load. Its ergonomics are calibrated to offer riders from 5’ 1” to 5’ 7” in height an easy reach to the ground, handlebar and foot controls. Balanced and responsive handling help rider and machine glide through corners with smooth confidence. The combination of wheel size, radial tires and front-end geometry contribute to outstanding maneuverability. 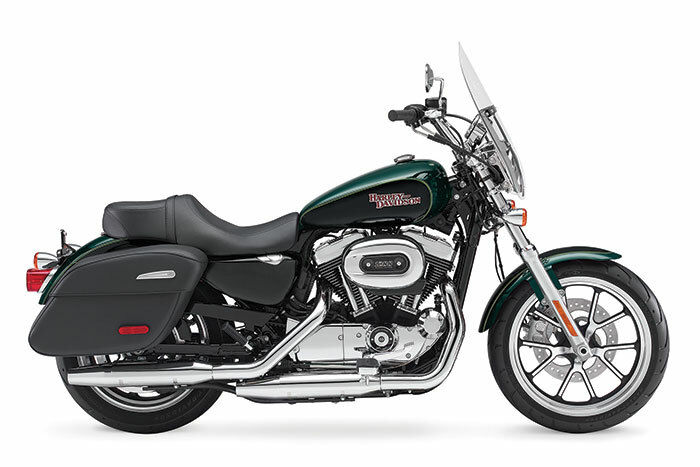 You’ve got a pair of sleek, lockable saddlebags on the new SuperLow® 1200T model. You also have docking points that make it easy to add a custom luggage rack and sissy bar to give you even more places to pack your gear. Who says a bike can’t look good and still pack up for big miles? The new SuperLow® 1200T motorcycle rolls on all-new, 5-spoke cast aluminum wheels painted black and machine polished for a premium finish. Why say more? These wheels speak for themselves. When the burrito exit comes out of nowhere, you’ll need a little extra braking power. 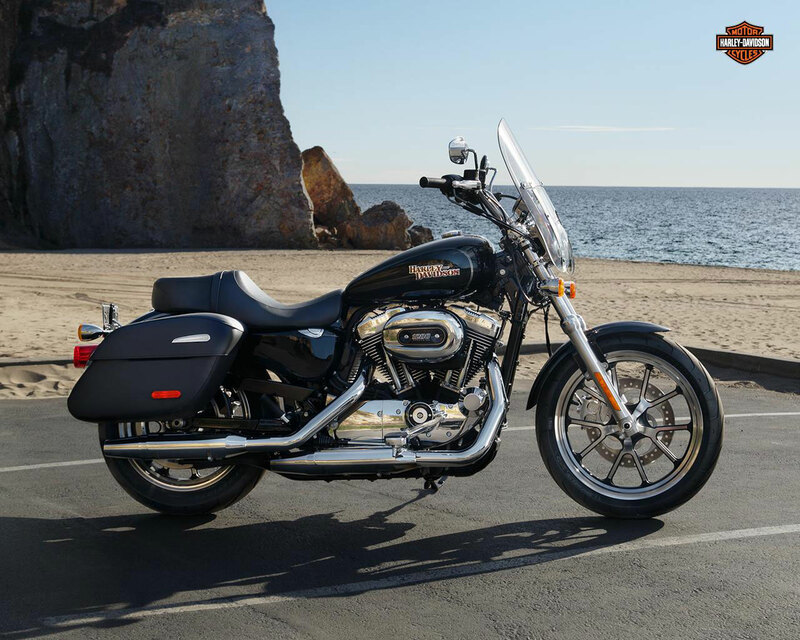 That’s why optional anti-lock brakes (ABS) are available on all Sportster® models. ABS improves overall braking performance, and keeps you from locking up under heavy braking. Plus, the entire system is smartly integrated into the design of the bike, so nothing gets in the way of your steel work of art. Because what’s the point of stopping if you can’t make a few heads turn? Coursing through every Sportster® model is a body controller with updated routing. It has a cleaner look and reduces the number of wiring harnesses, switches, relays and fuses. Which is a fancy way of saying less fuss. We’ve also added a voltage regulator with modified fins and integrated connectors to improve heat rejection. 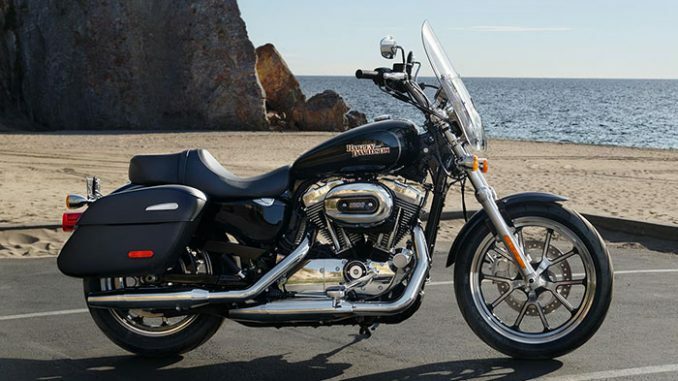 Like you, the Sportsters are wired and ready to chase wind and eat up miles of pavement. If your hands feel good on the controls you’ll feel good on the bike. Which is why when you twist the throttle of a Harley-Davidson® motorcycle, you just know. You feel more dialed in, comfortable and attuned to the road and everything around you. In designing these hand controls we went the extra mile to make sure every operation is as intuitive, fluid and effortless as possible. So you can keep your eyes on what’s over the next ridge and not what’s under your thumb. Things like self-canceling turn signals that are right where you want them to be and brake levers that are easy for all riders to reach. We’ve added other features, too, like a trip switch and vehicle “start” switch on keyless models. Details that may seem small but make a huge difference on the road. Because it’s tiny things like these that “……make a Harley-Davidson® motorcycle a Harley-Davidson® motorcycle”. There’s a reason we named this motorcycle the SuperLow® 1200T. The seat is just 25.5 inches off the ground. That low seat height, combined with the narrow frame, and the narrow nose seat, makes it easy to maneuver your ride through turns and down straights at any speed from parking lot to interstate. And reach the ground when you stop. If you’re looking for a motorcycle you can feel confident to go on, look no further. 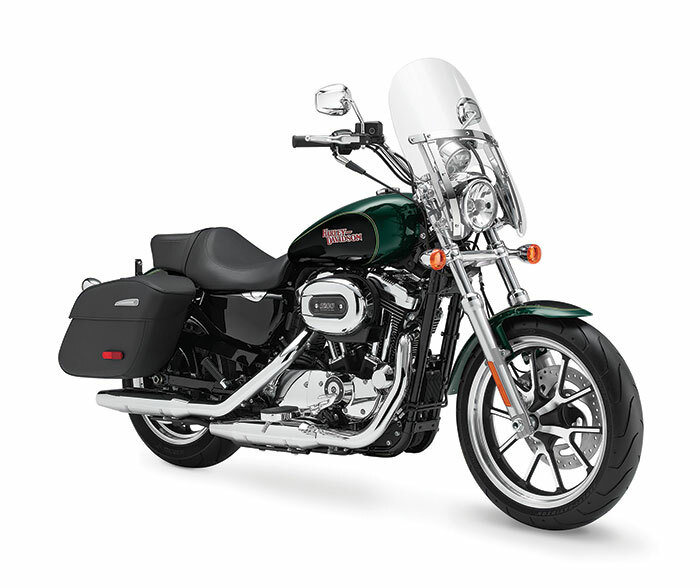 The new SuperLow® 1200T model has an all-new dial adjust emulsion shock and twin tube system. You can tune your suspension to match your riding style, or to accommodate full saddlebags and a passenger without removing the saddlebags or purchasing any special tools. Just dial in your ride and roll. As the old saying goes, “Take care of your feet, and your feet will take care of you”. When you’re on the Sportster® SuperLow® 1200T model, your feet are riding on new mini footboards that give you more comfort and support than pegs. The more comfortable you are, the farther you want to ride. Seat Height, Laden 7 26.13 in. Seat Height, Unladen 7 27.7 in. Weight, As Shipped 573 lb. Weight, In Running Order 599 lb. Gauges Handlebar-mounted electronic speedometer with odometer, time-of-day clock on odometer, dual tripmeter, low fuel warning light, low oil pressure light, engine diagnostics readout, LED indicator lights, gear and rom indicator.